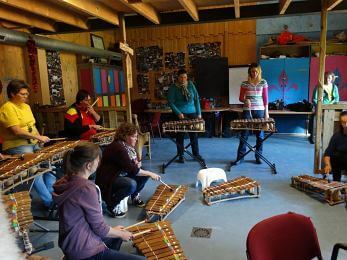 The balafonclasses I offer are organized in small groups. Lessons of two hours at a time. At home can be practised with the help of schematic teaching material and MP3. For the home study I have rental balafons available. 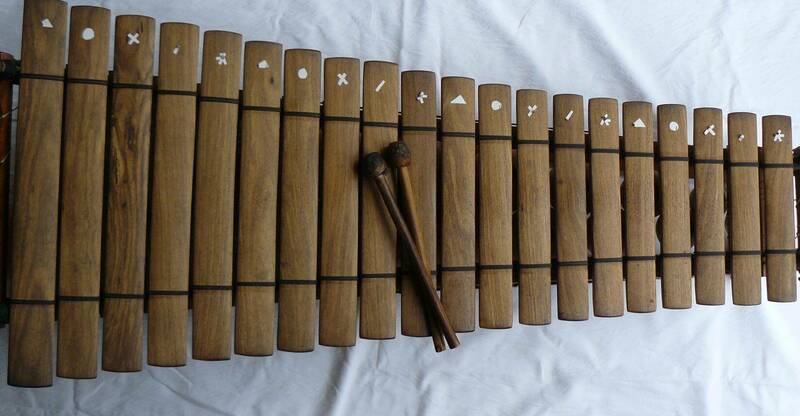 This makes playing and making music together during the lesson possible. 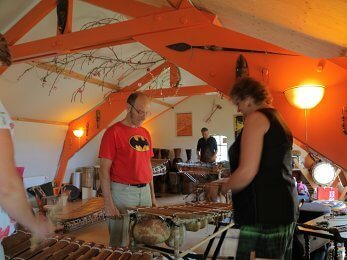 We play traditional pieces from Burkina Faso and Mali, sometimes accompanied by a song and other instruments. Do you want to join one of the groups? 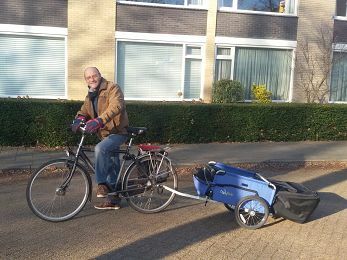 There are classes in the Amstelveen, De Bilt, Roermond, Betuwe, Tilburg and s’Gravendeel. New classes can be started for 8-12 participants. 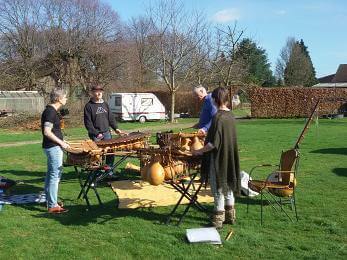 On request workshops balafon can be given on location for groups up to 15 people. 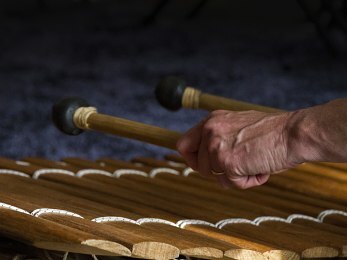 In combination workshops, where other instruments are added, more participants can join. The workshop will be offered as a possible start-up for a class, but also as an incidental activity for team-building or team outing. 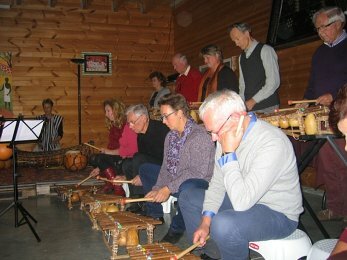 These workshops are therefore combined with small drums, shakers and vocals. Sometimes it makes sense and fun to be taught on your own with personal guidance and coaching on your balafoon play. Private lessons are also tailor-made. Then there is also enough time to come to a deepening of your playing. You can also come to play more with your personal feeling with the different pieces. Individual lessons are possible in consultation. I can do that at my home or yours.